Southern comfort food at it's best! 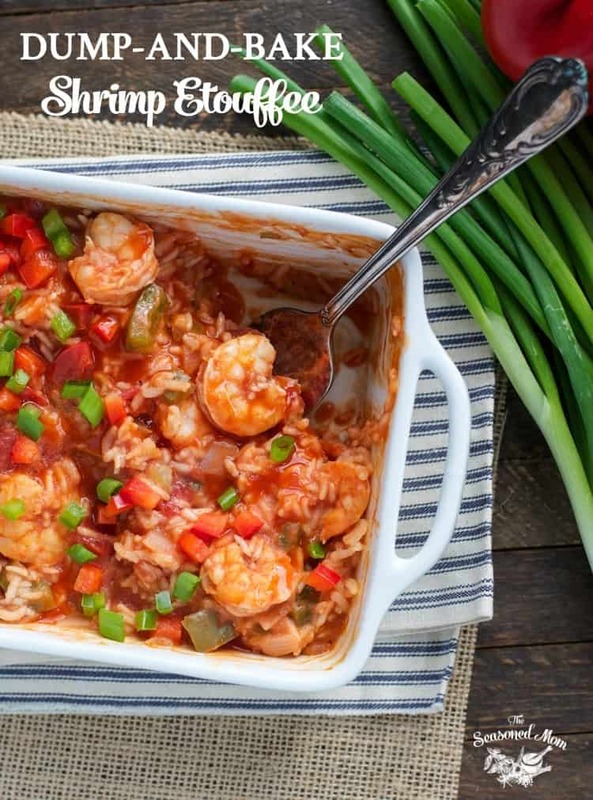 This easy and comforting Shrimp Etouffee with rice takes only 10 minutes to prepare and tastes incredible! 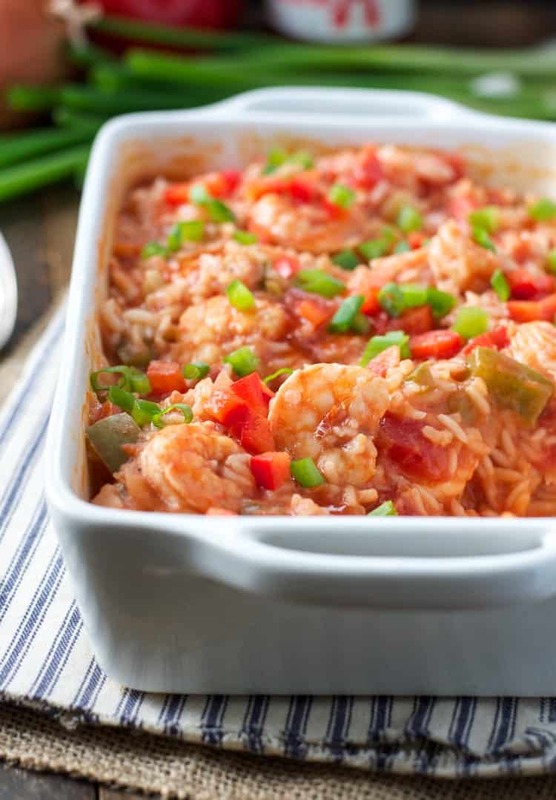 This Dump-and-Bake Shrimp Etouffee is the ultimate Southern comfort food! The raw veggies, uncooked shrimp, and uncooked rice all bake together in one dish for an easy dinner that’s ready with only 10 minutes of prep. 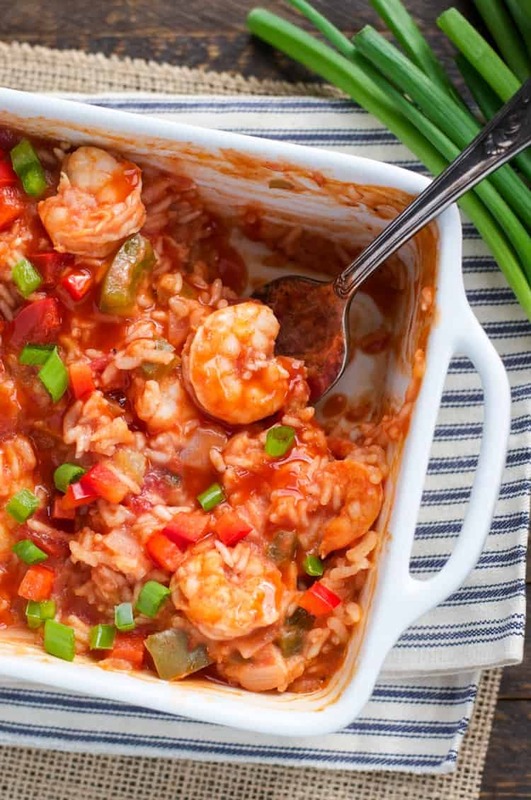 It’s family-friendly Cajun food — just in time for Mardi Gras! I’ll be honest and say that we don’t do a ton of Mardi Gras celebrating here in Virginia, but this time of year always reminds me of my favorite Creole dishes. Whether it’s gumbo, King Cake, or this Shrimp Etouffee, I find myself returning to the classics year after year. I’ve been making a version of this dish for as long as I can remember. And before you run off and assume that your child won’t like a spicy Cajun dish, hear me out! This is one of the first seafood dinners that I served to each of my boys when they were toddlers. Without fail, they have all LOVED it. 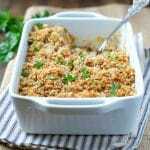 The ingredients are tender and easy to chew (key for the little ones), the sauce gets creamy and smooth as the starches from the rice bake in the dish, and you can adjust the seasoning to keep it mild for more sensitive palates (see my notes in the recipe below). 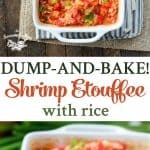 I know that Shrimp Etouffee sounds fancy (or difficult), but this is definitely not! It’s a traditional cajun dish usually served with shrimp and rice although can found with other seafood. A traditional shrimp etouffee requires a roux, a homemade shrimp stock, and plenty of time to simmer on the stovetop. But Mamma ain’t got time for that! Instead, I borrowed the same flavors and ingredients from the original dish and adapted them for my favorite dump-and-bake method of cooking. 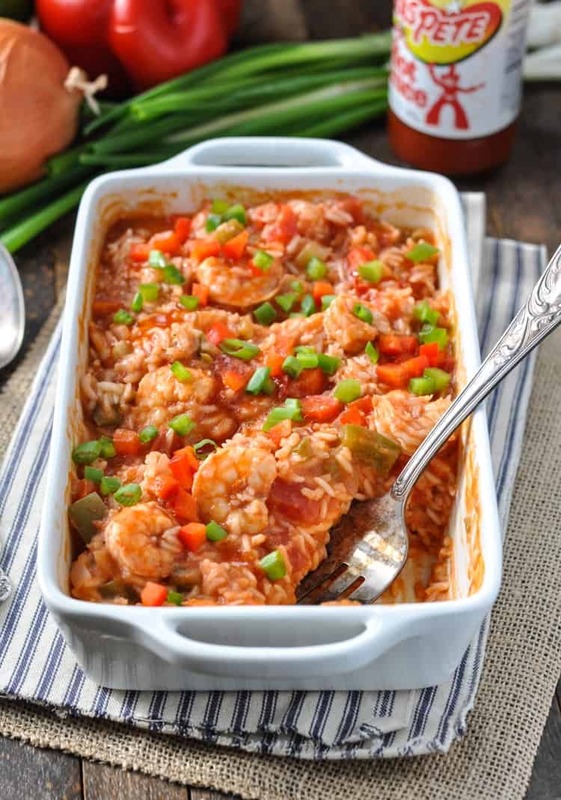 Loaded with bell peppers, onions, celery, tomatoes, garlic, shrimp, and rice, it’s a complete one pan meal that will transport you to New Orleans…in about 10 minutes! 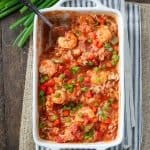 I hope that you’ll take some inspiration from the season and introduce your little ones to a taste of the South with this family-friendly, easy, dump-and-bake version of the classic Shrimp Etouffee. 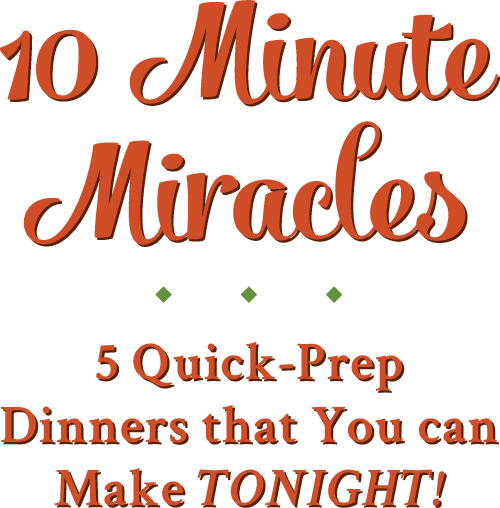 It’s a crowd-pleaser that will make any weeknight dinner feel like a Mardi Gras celebration! Cooking for Two? You can cut all of the ingredients in half and use a 12-ounce bag of shrimp and an 8-ounce can of tomato sauce, baking the meal in an 8- or 9-inch square dish. Alternatively, you can prepare a full recipe, but divide the ingredients between two square baking dishes. 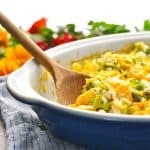 Bake one casserole for dinner, and wrap the other dish tightly and store it in the freezer for a later meal. Want to Prep Ahead? 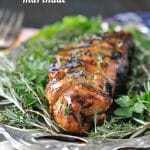 This dinner can be prepared in advance and kept in the refrigerator until you’re ready to bake it. It’s also freezer-friendly! Just prepare the casserole but do not bake it; wrap tightly with foil, and store the freezer for up to 3 months. When you’re ready to cook the frozen casserole, allow it to thaw in the refrigerator overnight. Spray a 13-inch x 9-inch casserole or baking dish with cooking spray. Spread diced butter around the bottom of the pan. In a large bowl, stir together shrimp, uncooked rice, condensed soup, tomato sauce, diced tomatoes, onion, bell peppers, celery, garlic, Cajun seasoning, salt and pepper. Pour shrimp mixture over butter into prepared baking dish. Cover tightly with aluminum foil and bake for 30 minutes. Stir well, cover tightly again, and bake for an additional 35-40 minutes, or until rice is fluffy and liquid has been absorbed. Serve with hot sauce and sliced green onions, if desired. *I like to use Jumbo or extra-large shrimp in this recipe because they have a longer cooking time and will not get overdone before the rice is finished cooking. Want to Prep Ahead? This dinner can be prepared in advance and kept in the refrigerator until you're ready to bake it. It's also freezer-friendly! 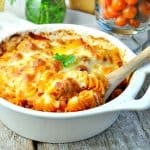 Just prepare the casserole but do not bake it; , wrap tightly with foil, and store the freezer for up to 3 months. When you're ready to cook the frozen casserole, allow it to thaw in the refrigerator overnight. We don’t really celebrate Mardi Gras either, but certain dishes do remind me of it! I love how easy this shrimp bake is, Blair! And you really won me over by throwing all of the raw/uncooked ingredients into the dish and then baking it. The less prep time, the better! 🙂 Love the flavors in here! I actually think kids deal with spice better than adults. This is my kind of meal lady! Thanks, Megan! I agree — it’s funny how adults make assumptions about what kids “should” or “should not” like, and then kids always surprise us! He he he! Dump and bake 😉 I am immature. However, it looks delicious! This looks amazing! 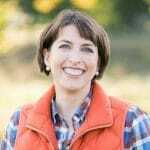 Being married to a Southerner means I’m often experimenting with Southern style dishes – and this one looks like one my whole family would love! How would you feel about not putting the shrimp in until the first time you atir? This would also help keep the ahrimp from overcooking. Do you use instant rice in this recipe or regular? Also, do you thaw the shrimp first? I made this tonight only thing different was using pre-cooked shrimp (I already had them in the freezer). I added them at the second baking interval so they wouldn’t be completely rubbery. I found though that after the full cooking time, my rice was still quite crunchy. I added 10 more minutes but then had to serve it because my family was starving. They ate it all up, but I’m wondering what went wrong with the rice?? My rice was crunchy also. I added almost 30 minutes to mine and we ended up throwing it out because some of the rice was still crunchy. Maybe there’s not enough liquid to cook the rice all the way thru. Next time I’m going to use instant rice and see if that makes a difference. Darn, that’s so weird! I have made this so many times without any trouble from the rice. I’m so sorry that it didn’t work, Pam! Instant rice would definitely work too, you just might need to play with the amount of liquid. Thanks so much, Pam! Same to you! Thanks for the feedback, the shrimp was thawed, the dish was covered…idk about the oven but everything usually cooks well in there. I added some extra sauce and some water to the leftovers…hoping that will allow them to fluff up a bit upon re-heating. I will say, despite the crunchiness, this was an AMAZING MEAL and my husband even went back for seconds, which rarely happens with this many vegetables involved! I will def try again and tweak as needed. This looks so easy and good but my question is the amount of carbs really 50.7? I’m not a huge fan of celery, and putting 2 celery ingredients in this recipe is a deal breaker for me. Is there something I can substitute for 1 of them, or omit completely??? Hi, Veronica! You can just omit the diced celery entirely, and then swap out the Cream of Celery soup for another soup such as condensed Cream of Mushroom soup. Enjoy!